It is a friend's birthday today so I sent her a bright and fun birthday card in the mail. 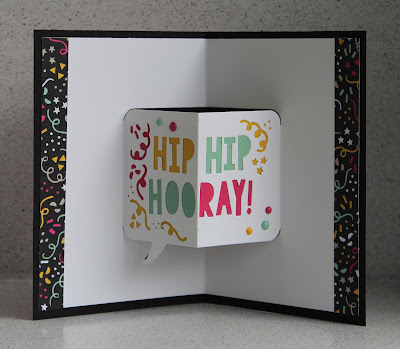 On the outside I've used the It's My Party designer series paper to create a bright and fun card. 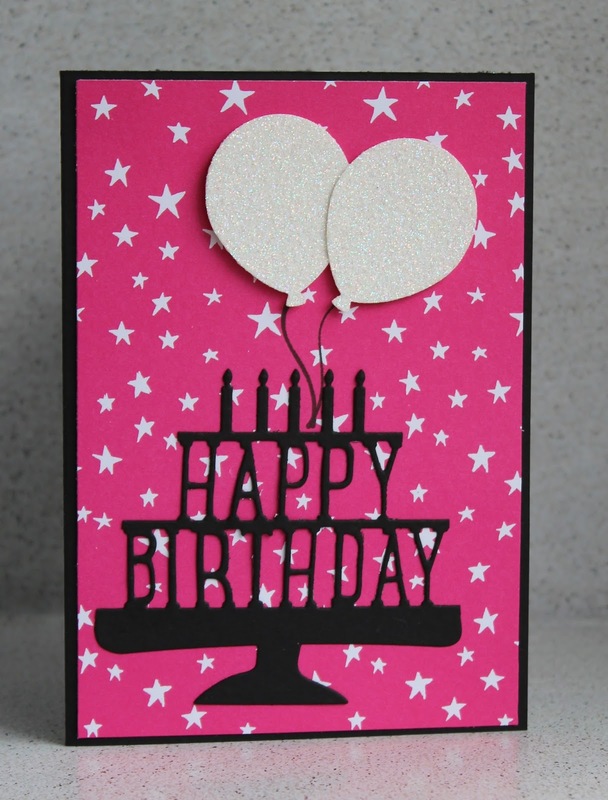 I've added sparkly white balloons to contrast against the black and the melon mambo pink. Inside, some of you may have seen this already as this is the card we taught at the last Auckland Extravaganza. However it's a goody and I knew my friend would like it. This awesome 12 x 12 paper stack, along with some of the co-ordinating items in the suite, is only available for a few more days so make sure you get yours before its too late.